A special screening of Ranveer Singh and Sara Ali Khan's forthcoming film Simmba was hosted on Tuesday night at the Yash Raj Studios in Mumbai. 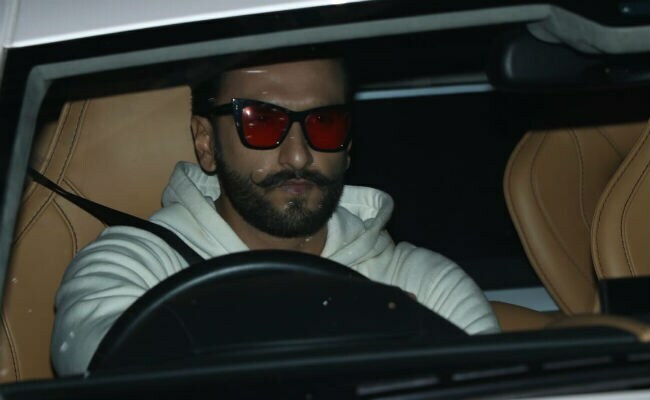 Ranveer drove to the venue alone while his wife Deepika Padukone arrived with his parents Jagjit Singh Bhavnani and Anju Bhavnani and sister Ritika. The Bhavnanis cheerfully smiled for the shutterbugs waiting at the screening venue. Deepika was dressed in an orange outfit, which she paired with gold hoops. Simmba will be Ranveer's first release after his wedding to Deepika in November. Of the film, Deepika earlier told news agency PTI, "I loved the trailer. 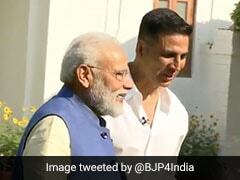 It's signature Rohit Shetty film. The film is on its way to become a blockbuster. 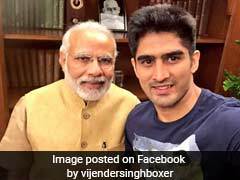 It has success written all over it." Here are the pictures from Simmba screening. Meanwhile, Sara Ali Khan's mother Amrita Singh and brother Ibrahim cheered for her. For the screening, Sara wore a short printed dress. 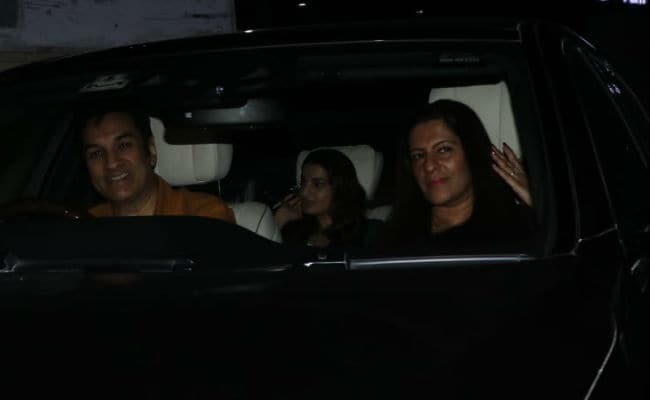 She posted a picture from last night with Amrita Singh and Ibrahim and wrote, "Simmba screening. It's a Merry Christmas for sure." Simmba screening it's a merry merry Christmas for sure! 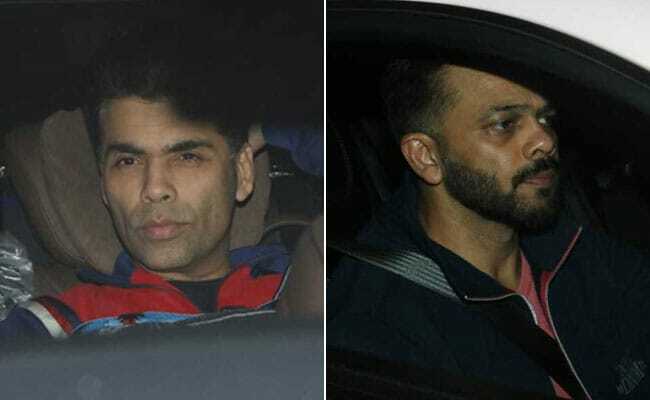 Simmba producer Karan Johar and director Rohit Shetty were also spotted at the screening. After the screening, Karan Johar shared a happy picture with the team and wrote, "Aala re aala Simmba aala." 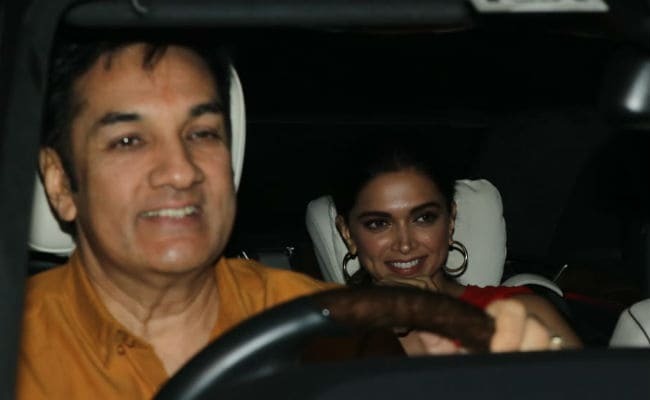 Deepika Padukone also joined team Simmba for the photo. Simmba is Sara Ali Khan's second Bollywood film. She debuted in the film industry just this month with Kedarnath, which starred Sushant Singh Rajput opposite her. Simmba hits the screens on December 28. Sonu Sood and Ashutosh Rana are also part of the film.